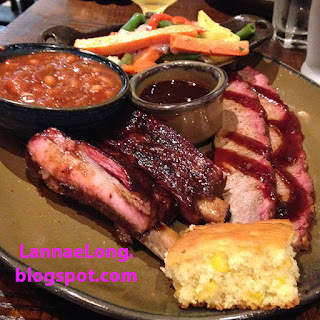 Q39 is the best barbeque in the whole Kansas City area. Before eating at Q39, I went to the the Yelp #1 KC BBQ place, and I originally thought that the Yelp ranked place was some of the best BBQ I have ever had, until I Q39. I had the pleasure of hanging out with a decades long grand champion barbeque judge over the summer. He said that the #1 Yelp BBQ place is good, it is good for tourists, and they serve a lot of BBQ. 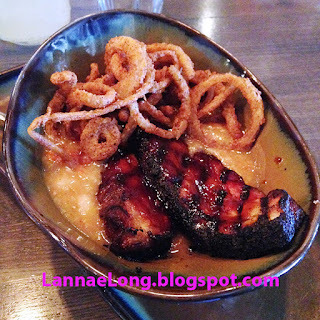 But, if I really want to try the best barbeque KC has to offer, I needed to go to Q39. Yes, he is right. Q39 is so dang good. Q39 is in a strip mall in midtown KC, MO. The interior of this place has a nod to a rustic country style dining room, but the tables, chairs, bar and design is sophisticated, and inviting at the same time. All of the dishes appear to be custom pottery made for this restaurant. Q39 also has a full bar including soft drinks, craft soft drinks, cocktails, beer and craft beers. The owner of Q39 has been leading a barbeque team for over a dozen years, and he has been multiple Barbeque Grand Champion over the years, as well as Brisket, Chicken and Ribs Grand Champion as well. This is one place which knows how to Q. Not only does the owner know barbeque, he knows how to conventionally cook as well, having graduated from CIA, and worked in the restaurant field for years. 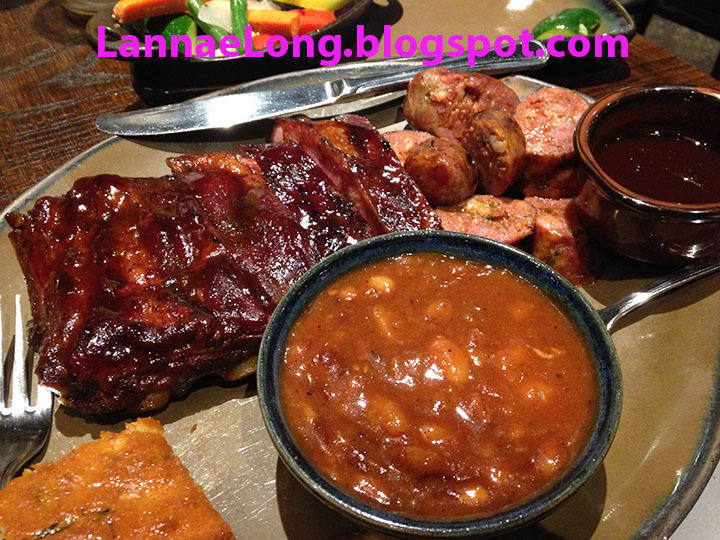 Over the course of a few months, and multiple visits, we tried the ribs, chicken, brisket, sausage and pork belly barbeque. The pork belly was one of my favorite dishes. It is low and slow barbeque smoked pork belly, then it is finished on the grill to get the outside a little crunchy. The pork belly is served with stewed white beans and onion straws. The ribs were so tender, had a nice smoky essence, and a perfect stick to the bone. I was told that the perfect competition rib always the judge to bite into the rib with a semi-circle teeth marks, the meat sticks to the bone just enough to allow teeth to go through the meat, and the meat does not pull or shard. The subsequent bites can remove the meat from the bone with a little tug, such that the meat isn't adhered to the bone, but it is not completely falling off the bone either. It is a perfect tackiness to the bone that could be the difference of a grand champion or not. These ribs were as close as I will ever come to the perfect rib. These ribs were cooked slow and low, that the moisture in the ribs did not boil off (if heat it too high), the meat was tender enough that I could bite through the meat and leave a semi-circle teeth mark, the meat was just sticky to the bone without being adhered, and it was a perfect slight pull to remove the meat from the bone. One meat of note is the sausage. Q39 house makes the sausage with their own secret spice mix. What makes or breaks barbeque sausage is the sausage itself. You can have the best wood, the best temperature, the best equipment, but if you start off with a bad sausage, the dish is going to be bad. I love the house made sausage at Q39. It isn't overly salty or spiced, and has a nice texture. Because the sausage is so outstanding, it is likely that they could cook the sausage in a pot of boiling water or microwave, and the sausage will still taste terrific. The chicken and brisket were also cooked perfectly. The chicken skin is bite-able without pulling the whole skin off (as it happens sometimes). The chicken is also still moist and juicy too. That means the chicken is also cooked low and slow, as to not boil off the moisture in the meat. Brisket can be tricky to cook, but Q39 does that well too. The brisket is served trimmed (most of the fat is cut off), there is some resiliency to the sliced brisket because it was cooked low and slow, and the meat is tender. The brisket was cooked at the right temperature to keep it moist and tender. The best part of the barbeque here is that there is a nice wood smoked aroma and flavor to all the meats, but it is not completely over powering. It is the level of smoke that makes you want to come back for more. The last things I want to blog about this place are the sides and apps. All of the apps and sides are house made, with excellent execution. Some BBQ joints fall short on the sides because they are so focused on BBQ and not really thinking much about side. Q39 really thinks well about the sides and apps. 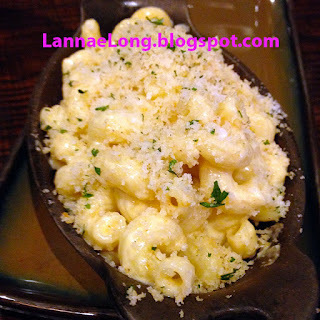 The house made mac and cheese is so luscious, with perfect texture and nice cheesy flavor. I am not sure how they do it. 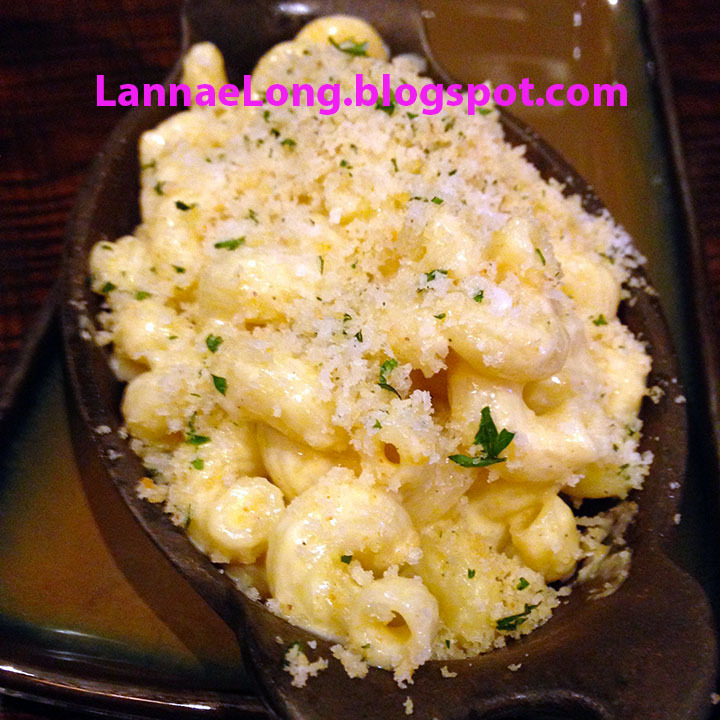 It is likely that the macaroni is cooked, and right before serving, it is tossed with cheese sauce and baked in the oven to make it bubbly and creamy. We loved the onion straws too. 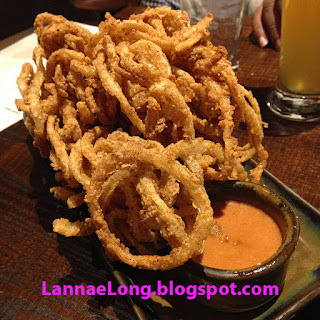 I recommend the onion straws for a table of 4 or more. We could not finish that app because the portion was so big. One of the options for a side are fresh seasonal veggies. I did opt for the fresh veggies during all visits. The fresh veggies is not a typical picnic or BBQ side, but it fits well with what Q39 seems to be trying to get at. Q39 does well with traditional smoked barbeque, and is the best Q in all of Kanasas City, IMHO. I also like that Q39 sides and apps are perfect to accompany barbeque. Q39 is so popular, and there is a buzz throughout the region, that I recommend a reservation if you want to go eat at Q39. 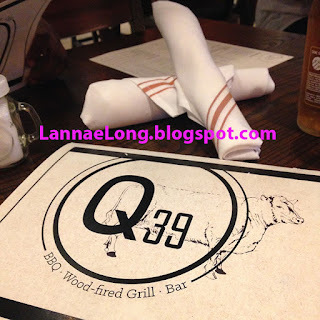 All I know for now is that when I am next in KC, I know where I am going for lunch and dinner, and that will be Q39.